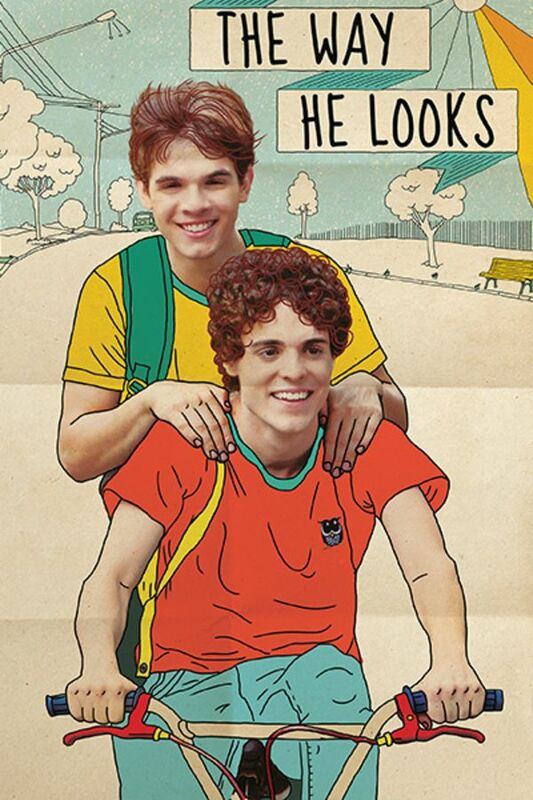 Set against the music of Belle and Sebastian, Daniel Ribeiro’s coming of age tale THE WAY HE LOOKS is a fun and tender story about friendship and the complications of young love. Leo is a blind teenager who’s fed up with his overprotective mother and the bullies at school. Looking to assert his independence, he decides to study abroad to the dismay of his best friend, Giovana. When Gabriel, the new kid in town, teams with Leo on a school project, new feelings blossom in him that make him reconsider his plans. Meanwhile, Giovana, grows jealous of this newfound companionship as tensions mount between her and Leo. Starring Ghilherme Lobo, Fabio Audi and Tess Amorim. Excellent and innovative international films. Awesome movie! Had a great storyline and kept me interested entire time. So glad Leo and Gabriel went for it! It’s a nice, cute movie.